Ryuichi Sakamoto (born January 17, 1952, Nakano, Tokyo, Japan) is a Japanese musician, composer, producer and actor. Sakamoto was a member of the internationally successful Japanese synth-rock/synth J-Pop trio Yellow Magic Orchestra. The band charted a British top 20 hit with "Computer Game" in the late 1970s. Ryuichi Sakamoto's work has been a seminal influence on the acid house and techno movements of the late 1980s and early 1990s. 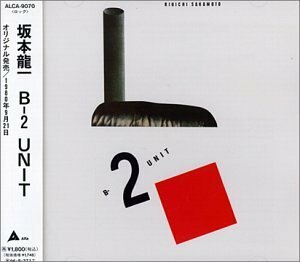 Japanese reissue of the former YMO leader's second solo album, first released in 1980 and featuring XTC's Andy Partridge and British reggae musician/ producer Dennis Bovell.